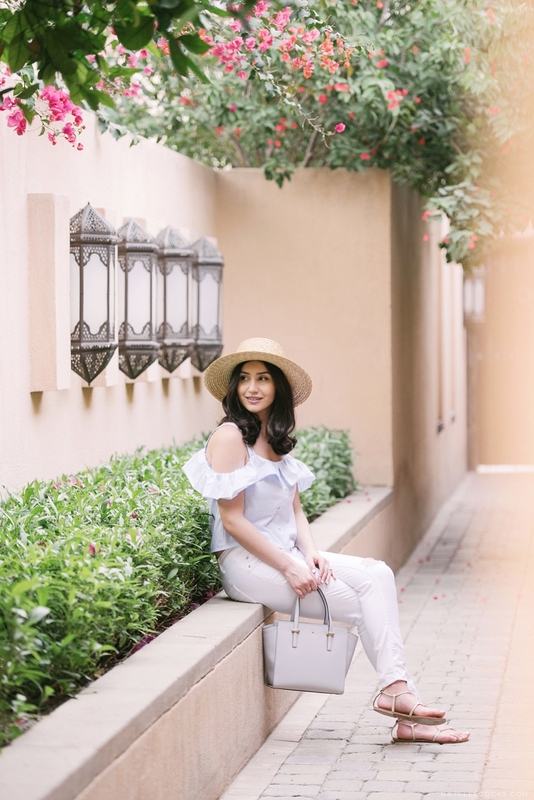 Rania – You may have heard me use this line before, but the shoot for this Zara Frilled Shirt is one of my all-time favourites and it’s not only because I absolutely adore this outfit. 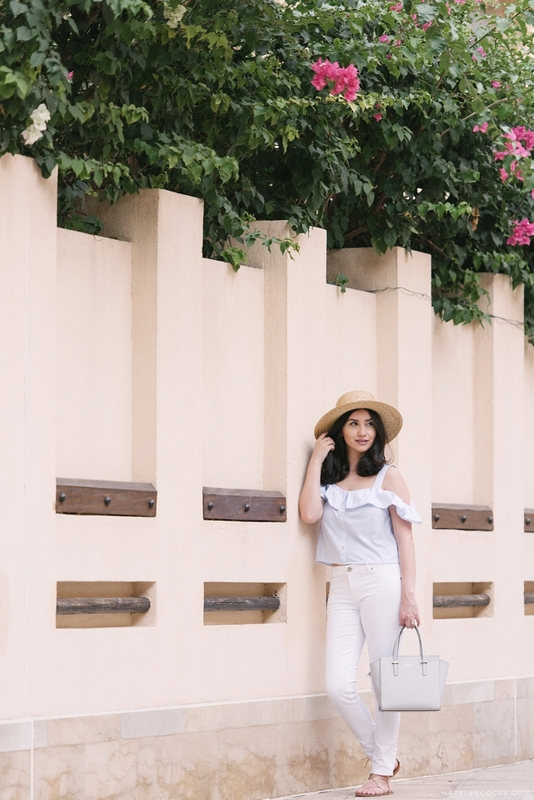 I’ve been stung by the wanderlust bug again and that’s what inspired this lookbook. 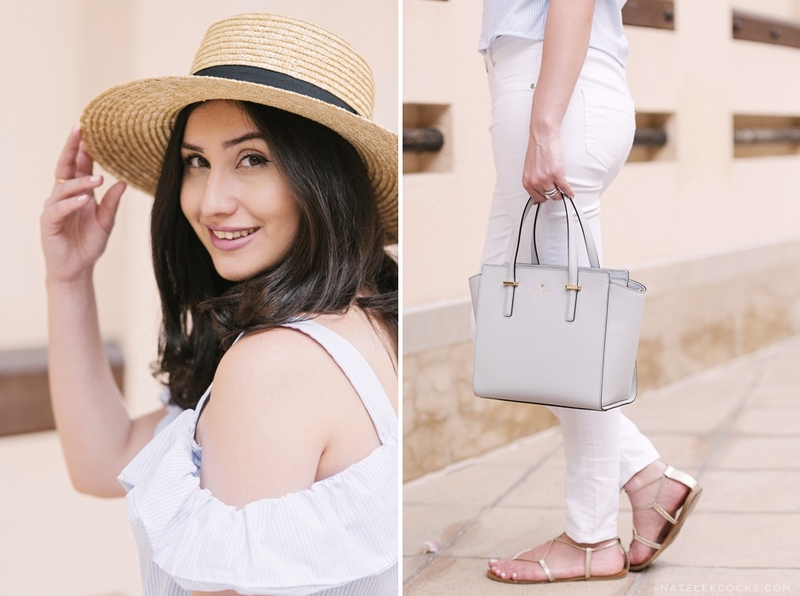 While dreaming up what I’d like to pack on a trip to Tuscany I knew it would involve stripes, a straw hat and of course a pair of strappy gold sandals. 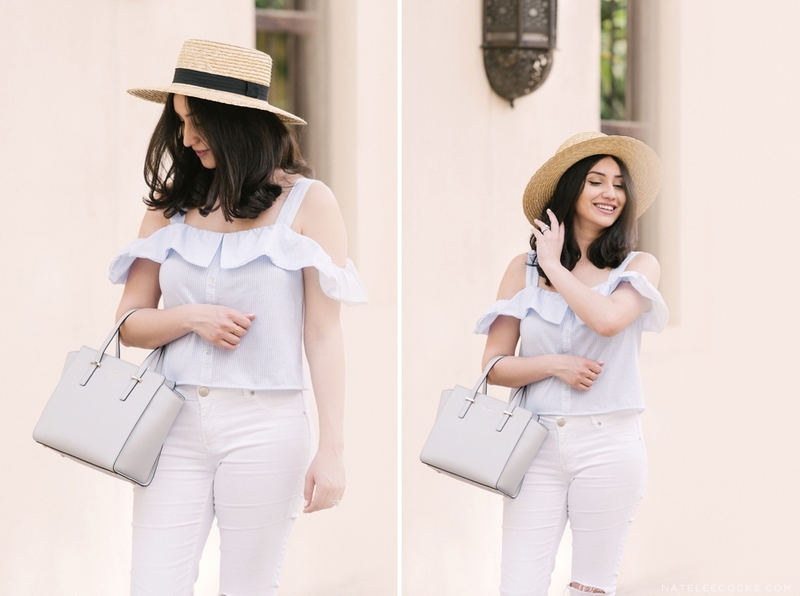 My off-shoulder obsession has already begun in full-fledged mode and this frilled shirt has an extra cute flounce to it. 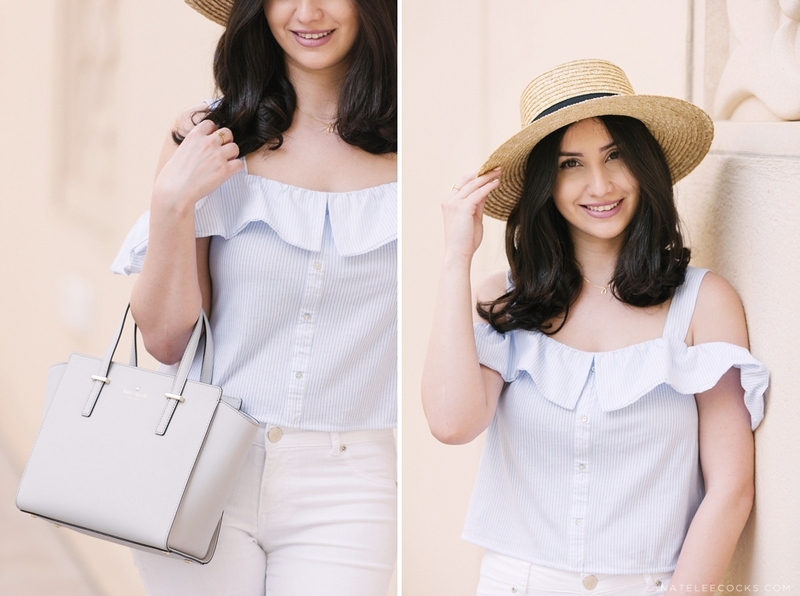 While shopping at Zara recently, I noticed it was stripes and off-the-shoulder central and I wondered how many similar tops and dresses I can buy before it gets to be too many. 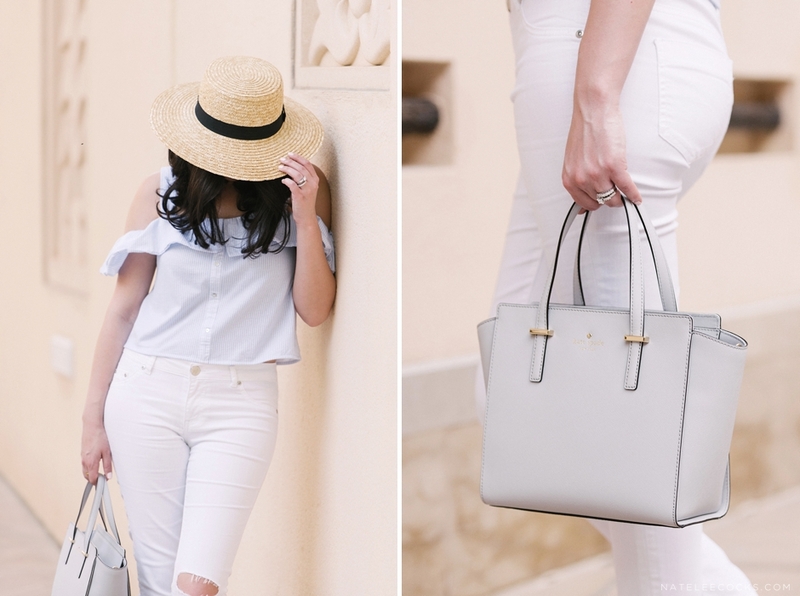 I came to the conclusion that it’s probably all I’ll be wearing these days and I’m not going to fight it. 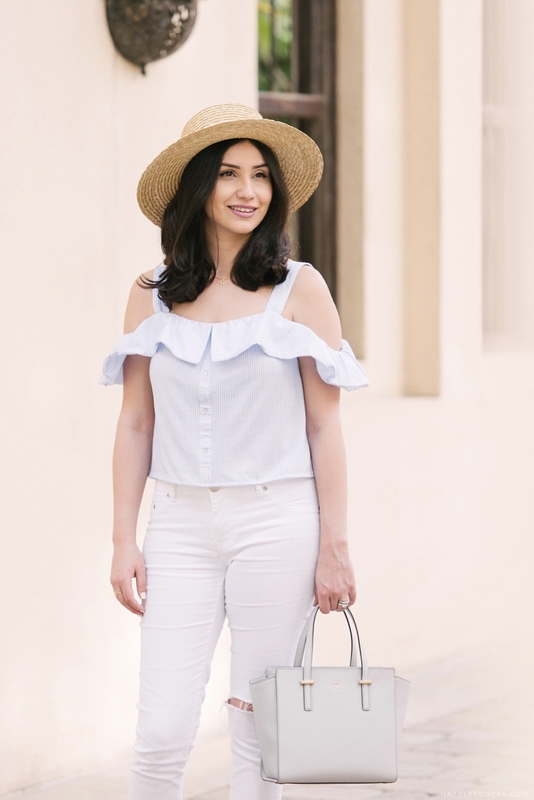 Whenever I wear this soft blue shade it reminds me of our honeymoon in Santorini, the color of the clear sky connected with the ocean and the tops of the little churches in Oia. As you can see, I’ve got it bad and I’m itching to go somewhere soon. 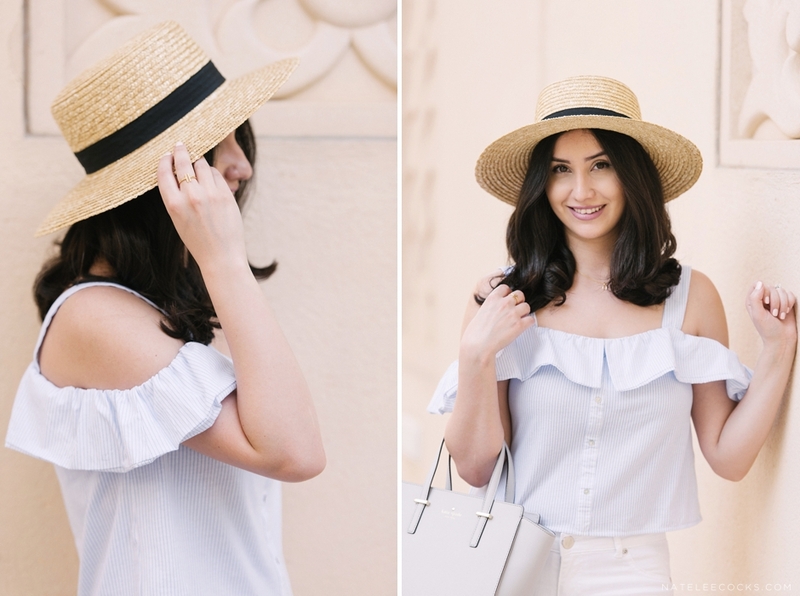 Luckily I haven’t booked any trips yet thus giving me plenty of time to build the perfect wardrobe for when I do finally jet off, my trusty hats in tow. What have you been dreaming of lately, darling?